Home / Entertainment / News / Showbiz / Viral / Sila pala ang mga Kilalang Artista na Sobrang Sakit ang Pagkakabreak-Up! Sila pala ang mga Kilalang Artista na Sobrang Sakit ang Pagkakabreak-Up! For many relationships, breakups and broken hearts are inevitable. We often think of a relationship as something that will last a lifetime, but of course, that is not usually the case. Like normal people, there are also celebrities who have been in a picture-perfect relationship but ended up in separation because of certain circumstances. Sometimes, there were third parties involved. Let us take a look at these celebrity couples who broke up! 1. 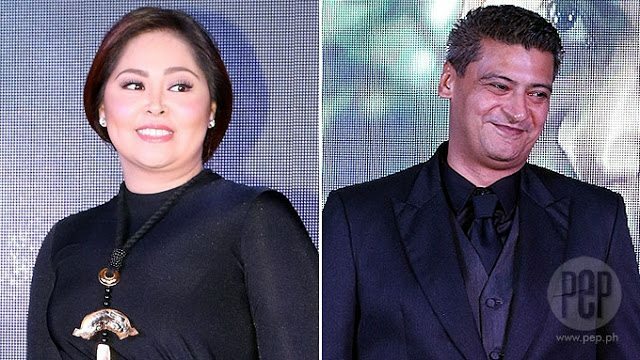 SHARON CUNETA AND ROBIN PADILLA – their romance started after they did “Maging Sino Ka Man”. The Megastar admitted that she was about to marry Robin before. 2. RACHEL ANN GO AND JOHN PRATTS – they admitted their relationship in 2011 but broke up after a few months when John broke up with Rachel through a text message. 3. HEART EVANGELISTA AND JERICHO ROSALES – they became one of the most famous showbiz couples so their breakup was a big news for all. They now have their separate spouses. 4. KRISTINE HERMOSA AND DIETHER OCAMPO – they have been married for five years but eventually filed for an annulment which was approved. Now, Kristine is married to Oyo Boy Sotto. 5. ANGEL LOCSIN AND OYO BOY SOTTO – they admitted their relationship in 2006 which did not last long. Before their relationship, Angel was the girlfriend of Oyo’s deceased cousin Miko Sotto. 6. JENNYLYN MERCADO AND MARK HERRAS – the two had a long-time relationship ever since their “StarStruck” days and their breakup also broke their fans’ hearts. 7. KARYLLE AND DINGDONG DANTES – they started dating when they worked together in “Encantadia” as a love team but Karylle moved to ABS-CBN when they broke up. Now, they are married to Yael Yuzon and Marian Rivera, respectively. 8. LOVI POE AND ROCCO NACINO – they surprised their fans when they confirmed their break up last year. Rocco is now in ABS-CBN. 9. 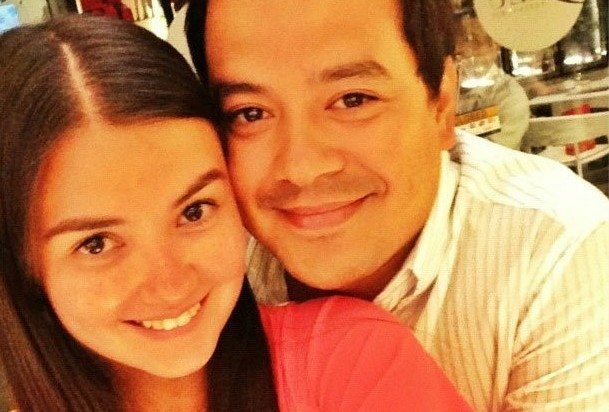 ANGELICA PANGANIBAN AND JOHN LLOYD CRUZ - They broke up in 2016. 10. SARAH GERONIMO AND RAYVER CRUZ – Rayver is Sarah’s first boyfriend. They tried hiding their relationship but it was eventually publicized. The reason for their breakup was not confirmed. 11. CARLA ABELLANA AND JC INTAL – their relationship was not a very controversial one, but like others, it did not last really long. JC is now married to Bianca Gonzales. 12. JEWEL MISCHE AND RICHARD GUTIERREZ – they hid their romance for three years and just admitted it when they broke up. 13. RHIAN RAMOS AND KC MONTERO – they were in a two- year relationship before Rhian ended it in 2013. 14. ANDI EIGENMANN AND JAKE EJERCITO – Jake was the confirmed real father of Ellie and until now, there are still no clear updates on the status of their relationship. 15. 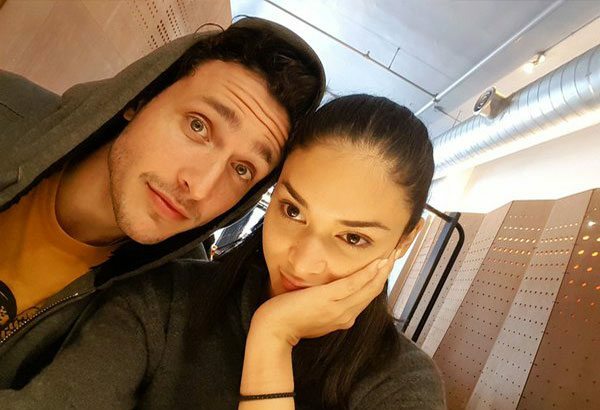 PIA WURTZBACH AND MIKHAIL VARSHAVSKI – the 2015 Miss Universe confirmed they were dating but she eventually entered a relationship with Marlon Stockinger. 16. PAULEEN LUNA AND MARVIN AGUSTIN – the “Eat Bulaga” host denied the issue that her parents were the problem why she broke up with the actor. 17. JANINE GUTIERREZ AND ELMO MAGALONA – Janine said she wanted to focus on her career which was the reason why she broke up with Elmo who transferred to ABS-CBN. 18. ANGELU DE LEON AND JOKO DIAZ – their daughter, Nicole, is now 18 years old. Their romance started back in the 90s. 19. CARMINA VILLAROEL AND RUSTOM PADILLA – Carmitted admitted that when she was in a relationship with Rustom, she did not have a clue that the latter had another sexual preference. 20. KRIS AQUINO AND ROBIN PADILLA – rumor has it that former President Cory Aquino did not want Robin for her youngest daughter so they were forced to break up. Who among these couples is the most picture-perfect couple for you? Share your opinion with us in the comments section below!